Funeral Services for Mrs. Mae L. Andrews Gallamore will be held on Saturday, December 7, 2013 at 1:00 at the Mt. Zion Webster Baptist Church with Rev. Alfred Starling officiating. Burial will follow in the church cemetery. Mrs. Mae Andrews Gallamore was born in Webster County, Georgia on May 26, 1948 to the late William and Jeffie Andrews. She was educated in the public school system of Sumter County. Mae joined the Mt. Zion Webster Baptist Church under the leadership of the late Rev. G.W. Nealy. She was married to the late Cleveland Gallamore of Baxley, Georgia and this union was blessed with five children. Mae was called home to meet her heavenly Father on Thursday, November 28, 2013 at the Lillian Carter Nursing Center. 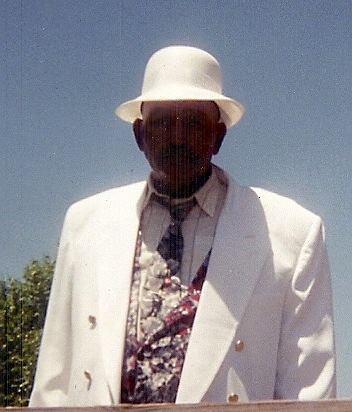 She was preceded in death by two siblings: Sylvester V. Thomas of Flint Michigan and Cleveland Twiggs, Sr. of Americus, Georgia. Left to cherish her memory are her children: John B. Gallamore of Plains, Georgia, Gary Gallamore, Sabastian Gallamore of Baxley, Georgia, Cleveland J. Gallamore of Lakeland, Florida and Latoya Gallamore of Deerfield, Florida; two brothers: William (Julia) Andrews of Americus, Georgia, and Jessie (Jean) Andrews of Flint, Michigan; four sisters: Ms. Rosa Andrews and Mrs. Mary Jackson both of Plains, Georgia Ms. Mattie P. Andrews of Mt. Morris Michigan and Mrs. Angaline (Charlie) Boone of Plainfield, New Jersey; two sisters-in-law: Mrs. Mildred Twiggs of Americus, Georgia and Mrs. Barbara Thomas of Flint, Michigan; one aunt, Mrs. Annie C. Thomas of Flint, Michigan; several nieces, nephews, including a devoted niece, Gloria Hurley of Plains, Georgia; two devoted cousins: Mrs. Bertha (Shug) Dice of Leslie, Georgia and Shekela Crouch of Deerfield, Florida; several devoted friends including: Linda and Lois Crouch of Deerfield, Florida, Annie Ross, Vernell Hollis, Mary (Johnny) Grier, Dale Morgan, Danny Blackmon, Bobby Sims, and Gidget Evans all of Plains, Georgia and Donnie Lewis of Americus. A host of grandchildren, Great grandchildren and other relatives and friends also survive. 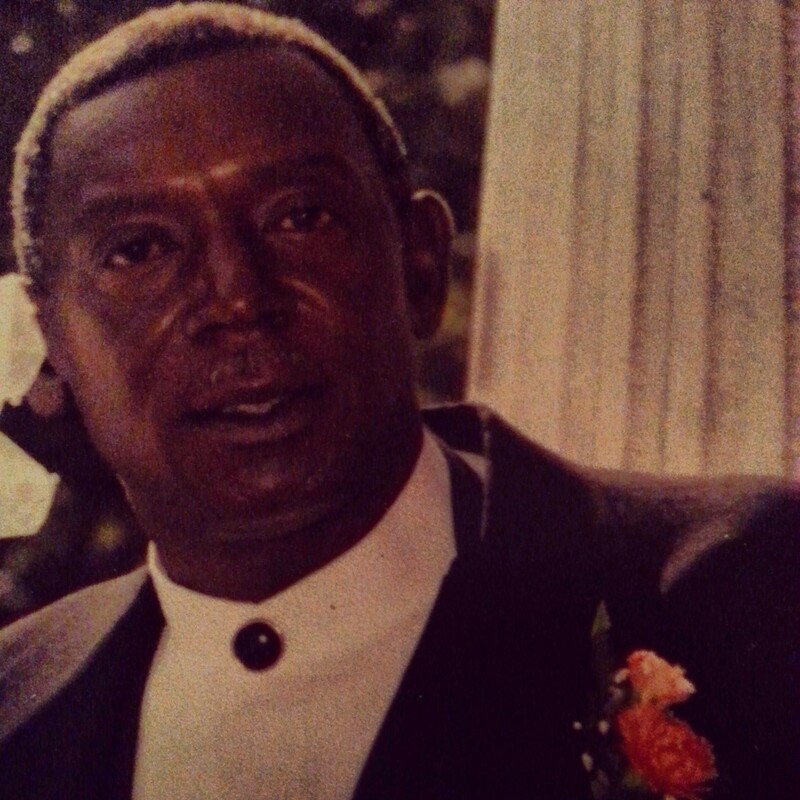 Funeral services for Mr. Ralph Lewis, Jr. of Americus, Georgia will be held on Monday, December 2, 2013 at 2:00 P.M. at the Friendship Baptist Church on Cotton Ave. in Americus, Georgia with Bishop Melvin McCluster officiating. Burial will follow at the Eastview Cemetery. 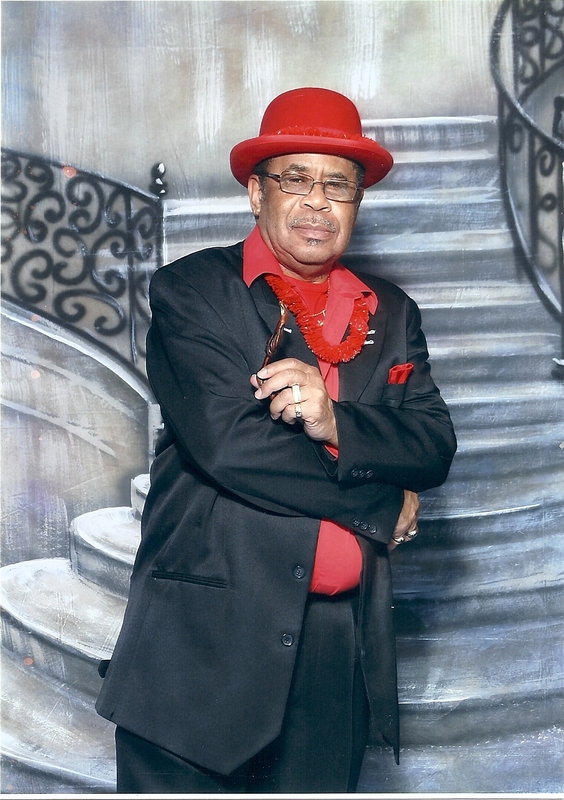 Mr. Ralph Lewis, Jr. affectionately known as “Yoke”, was born in Sumter County, Georgia on March 26, 1948 to the late Mr. Ralph Lewis, Sr. and the late Mrs. Eddie Lee Bateman Lewis. He received his education in the public school system of Sumter County. He was a truck driver for over 20 years. Truck driving was his passion. He was married to Mrs. Sherlene Maddox Lewis on September 21, 1969 and to this union two caring and loving children were born. Preceding him in death were his parents and three brothers, Parnell, Tommie and Eddie. In addition to his wife, Mrs. Sherlene Lewis, he leaves cherished memories to his devoted daughter Cassandra T. Pless, Americus, GA; two sons: Ralph Lewis, III and Brandon Lewis both of Americus, GA; one grandson Caleb M. Pless, Americus, GA; three sisters, Minnie Lewis, Americus, GA, Bobbie Mae Stowbridge, Chester, PA, Loretta Lewis, Douglasville, GA; two brothers: Robert (Dorothy) Lewis, and Ernest Lewis both of Americus, GA; mother-in-law Mrs. Willie Faye Maddox, Americus, GA; son-in-law Tommy L. Pless, Jr., Americus, GA; sisters-in-law Annie (James) Wilson, Louise (Emmett) Rouland both of Americus, GA, Linda (Bill) McWhorther, Boston, MA; brothers-in-law, George (Earnestine) Maddox, Albany, GA, Clyde (Rudy) Maddox of Riverside, CA, one uncle Robert Bateman, Americus, GA, four aunts Mary Prater, Daisy Bateman, Carolyn Bateman all of Americus, GA, Mary Lou Carter of Albany, GA. A host of nieces, nephews, cousins, relatives including two devoted nieces Moneishia Lewis and Michelle (Charles) Townes and a devoted friend Forrest “Shorty” Hill also survive. Funeral services for Mrs. Rosa Joiner Leary will be Wednesday, November 27, 2013 at 2:00 P.M. at the New Hope Baptist Church with Rev. Alfred Wynn officiating. Burial will follow at the church cemetery. Mrs. Rosa Joiner Leary, daughter of the late Eula Mae Joiner and the late Lonnie Manning, was born May 25, 1936 in Macon County, Georgia. “Polly”, as she was affectionately called, grew up in Montezuma and attended Flint River Farms School. She joined New Hope Baptist Church in 1945. In 1956 she married Willie James Leary. They moved to Atlanta in 1958. Later she became a member of Chapel Hill Baptist Church. 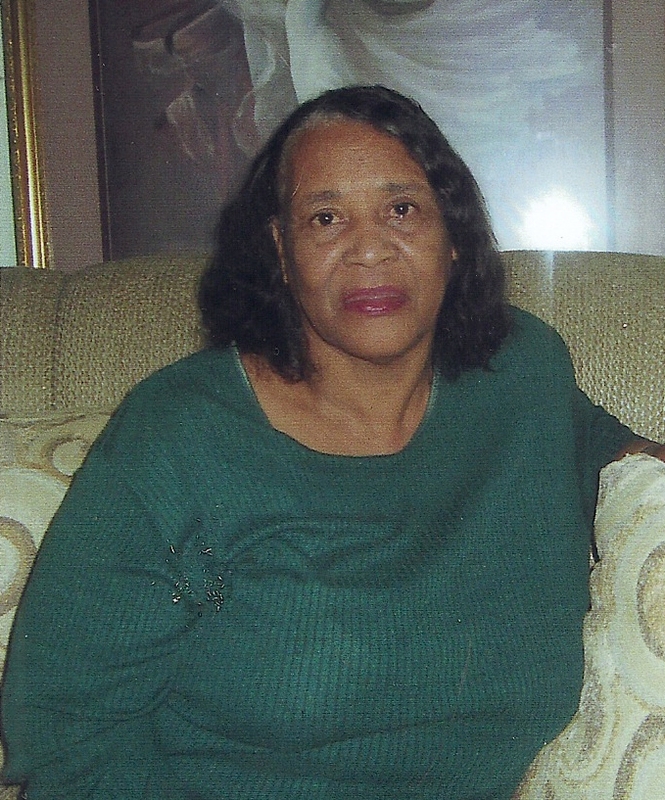 Mrs. Leary worked in various medical facilities in the Atlanta area and retired as an RN at Dekalb Hospital. 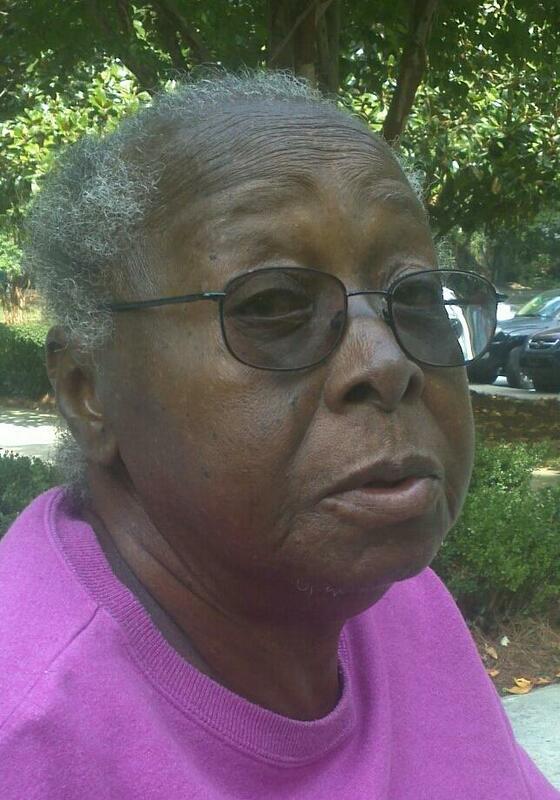 God called her home on Wednesday, November 20, 2013. She was preceded in death by her husband Willie James Leary, one son Kelvin Leary, and one sister Betty Manning. Left to cherish her memory are three daughters: Rosetta Leary, Gwendolyn Leary and Joann Leary all of Atlanta, Georgia; one son, Willie James Leary, Jr. of Atlanta, Georgia; one sister, Mary Barrett (Dudley) of Orlando, Florida; one brother, Lonnie Manning, Jr. of New York; her son-in-law, Willie Wilmont; her grandchildren: Rosetta Leary, Shanno Leary, Kiana Leary, Gwenetta Green, Melvin Sharp, William Leary, Kelvin Leary, Antonio Leary and Antony Leary; nine great grandchildren; a devoted cousin, Ruby Miller; several nieces, nephews, other loving relatives and friends. Funeral services for Mr. Jessie Burke, Sr. will be held Saturday, November 23, 2013 at 11:00 a.m. at New Hope Baptist Church in Montezuma, Georgia. Burial will follow in New Hope Cemetery. Our beloved, Jessie Burke, was born September 15, 1926 in Macon County, Georgia to the late W.D. Burke and the late Carrie Phillips Burke. At an early age, he joined Brown Chapel Baptist Church. Later he moved his membership to Little Bethel Baptist Church in Peach County where he served as a deacon until his health declined. Jessie attended the Flint River Farms School. On May 28, 1949 he was united in holy matrimony to Emma Honey Burke. This union was blessed with four children. He was preceded in death by his wife, two children: Hollis Burke and Dorothy Burke and his siblings: Jim Phillips, Marshall Burke, O.W. Burke, Henry J. Burke and E.H. Burke. Mr. Burke was employed with Barrett Farms and later retired when his health began to decline. God called him home on November 18, 2013. He leaves to cherish his memory a very devoted daughter, Shirley Burke Brown (Willie, Sr.) of Montezuma, Georgia; his devoted son, Jessie Burke, Jr. (Betty) of Florida; one sister, Mary Ann Burke of Atlanta, Georgia; his brothers: Mr. and Mrs. Charlie Burke and Willie J. Burke of Atlanta, Georgia, Mr. and Mrs. Eddie Burke of Florida, and Chester Burke of Byron, Georgia; seven grandchildren: Anthony Burke (Miranda), Tony Burke, LaVivian Ellington (Antrius), Captain Jeffrey Brown (Captain Kendra), Tyrone Brown, Beverly Brown Latimore (Craig),and Willie J. Brown, Jr. (De’Andrea); great grandchildren: Alexia Clayton, Khaliq Rashad, Christopher Ellington, Timothy Burke, Anterious Ellington, La’Terrian Ellington, Quazerious Ellington, C.J. Latimore and Caleb Latimore; brother-in-law, J.T. Tookes (Bessie) of Montezuma, Georgia; sisters-in-law: Willie Mae Tookes and Mrs. Howard Tookes of Florida; daughter-in-law, Pearlie M. Burke of Montezuma, Georgia; uncle, Clarence Thomas (Rosa) of Montezuma, Georgia; a devoted cousin, Ruby Miller of Montezuma, Georgia; several nieces, nephews, other relatives and sorrowing friends. Graveside Services for Infant Kamorion Dwayne Carter will be held on Friday, November 15, 2013 at 2:00 P.M. at Eastview Cemetery Americus, Georgia with Evangelist Anthony Walker Officiating. Kamorion Dwayne Carter came into this world on Thursday, November 7, 2013. A beautiful baby boy, “Lil Buddy” was born at Phoebe Putney Memorial Hospital in Americus, GA. Too precious to live in this world, God gave us a glimpse of him before he sent his angel to his heavenly home. He leaves to cherish his memory his parents: Shambreka Lockhart and Michael Carter, Jr.; one brother, Jamarion K. Lockhart; grandparents: Laquasha Davis, Melanie (Sam) Boone; great-grandparents: Diane Boone, Stella Ford and Eddie (Cynthia) Davis; one aunt, Kirsten Davis; two uncles: Jehiem Boone and Darren Carter; Great-grandfather Willie (Vernell) Carter; great-great grandmothers: Annie Ruth Davis and Edna Sims; great-aunts: Chelby Davis, Latonya Larken, April Munns, Shirley Munns, Antwanette Williams and Tianna Mitchell; great uncles: Andrew Lockhart, Jr., Charlie Lockhart, James Lockhart, Vernon Lockhart, Edward Lockhart, Don Smith, Antwan Lockhart, Demetre Lockhart, Marcus Butts, Eddie Davis, Jr., Tony Boone, Rodney Hartage and Flinza Davis; great aunts: Julia Lockhart, Ella Green, and Ola Baisden. Funeral services for Sgt. (Retired) Arthur Lee Cooper of Leslie GA will be held Saturday, November 16, 2013 at 11:00 A.M. at the Friendship Baptist Church in Americus, Georgia. Burial will follow at the L.S. Cooper Cemetery. The life’s journey of Arthur Lee Cooper began on January 1, 1945 in Sumter County, Americus, GA to the late Leaston S. Cooper, Sr. and Elnora Westbrook Cooper of Leslie, GA. Arthur gave his life to Christ at an early age and joined New Pineville Baptist which merged with Old Corinth where he remained faithful and dedicated for the duration of his life. He served diligently on the Usher Board for many years. He was a 1962 graduate of Sumter County High School, Americus, GA. After graduation, he joined the United States Air Force and served untiringly for four years, serving a year in Vietnam. Arthur attended Georgia Southwestern State and majored in Business Administration. He joined the National Guard and later became Active Duty status in the United States Army. He retired from the Army with 28 years of dedicated services. Arthur was a committed and devoted public servant who believed in helping others. He excelled in many walks of life and served faithfully throughout the community. He was an unwavering member of the C.B. Dowdell Post #558 and the Auxiliary of the American Legion for 40 years. He was the first and only Commander to serve for 19 consecutive years. He was a strong supporter and advocate for the Edward A. Thomas Scholarship Award and Toys For Kids at Christmas. He was a committed member of the Masonic Order, Past Master of Welcome Lodge #249 and Worthy Patron of Habakkuk Chapter #70 Order of the Eastern Star. He served faithfully as Secretary for the Americus Masonic District #14 and was a faithful member of Thomas Douglas Holy Royal Arch Chapter #4. He was a dedicated employee with the Sumter County Sheriff’s Department for 16 years. Arthur was an avid photographer. He loved listening to his Gospel and R&B special collections. He had a rare sense of humor and was fun to be around. He always dressed for success and was a very proud man who maintained dignity and integrity in everything that he encountered. During the early Fall morning of Wednesday, November 6, 2013, the Heavenly Father made a visit to the bedside of Arthur Cooper as he slept at his home on Cooper Rd, and said “Arthur, let’s take a ride. You have fought a good fight. You kept the faith. Now, let’s go home and rest.” Arthur so peacefully went home to be with the Lord on November 6, 2013 leaving behind a rich legacy for many generations to come. He was preceded in death by his father and mother Leaston S. Cooper, Sr. and Elnora Westbrook Cooper; brothers: Joe, Leaston Jr., Eugene and Nathaniel; and sisters: Annie Clara, Sarah, Gertrude and Eddie Mae. He leaves precious memories to his loving wife of 43 years, Carolyn Cooper; his four children: Karen (Keith) Timmons of Leslie, GA, Marcus Cooper (Tonya) of Rock Island, Illinois, Melbae Abernathy (Charles) of Durham, North Carolina and Attorney Melody (Joseph) Ebron of Augusta, GA. He will be sadly missed by his nine grandchildren: Desmond Timmons, Jamar, Karissa and Christian Abernathy, Cortavious Stephens, DeMarcus, Kayla and Sanai Cooper, and Brayden Ebron. He will be forever loved by his six sisters and seven brothers: Nadine (John) King of Smithville, GA, Vera (Arie) Arney of Dallas, GA, Rena Cooper of Conyers, GA, Barbara Linnear, Eartha (Johnny) Robertson of Augusta, GA, Irene Rutherford of Americus, GA, Willie Cooper, Eddie Lee (Effie) Cooper of Leslie, GA, Reubin (Vivian) Cooper, Ceasar Cooper of Miami, FL, Tony (Amanda) Cooper of Americus, GA, Thomas (Angellette) Cooper of Fayetteville, NC, and Royzell (Shirley) Cooper of Vienna, GA; sisters-in-law: Minnie Cooper of Tacoma, WA and Delorne Cooper of Leslie, GA. A special thanks to his caregivers his steadfast, loving sisters Barbara and Rena. He will always have a special place in the hearts of his brothers and sisters-in-law: Bural Wade of Andersonville, GA, Michael (Annie) Wade of Americus, GA, Bettye Dean of Orlando, FL, Sara (Albert) Mills Jr. and Earnestine (Robert) Colbert of Andersonville, GA, Dr. Oneida (Arthur) Ingram of Americus, GA, Brenda (Melville) Griffin and April Johnson of Atlanta, GA and Evelyn Williamson of Mount Vernon, NY; a host of nieces, nephews, others relatives, and many sorrowing friends. Arthur loved everyone and was loved by his family and friends. He will always be remembered and never forgotten.